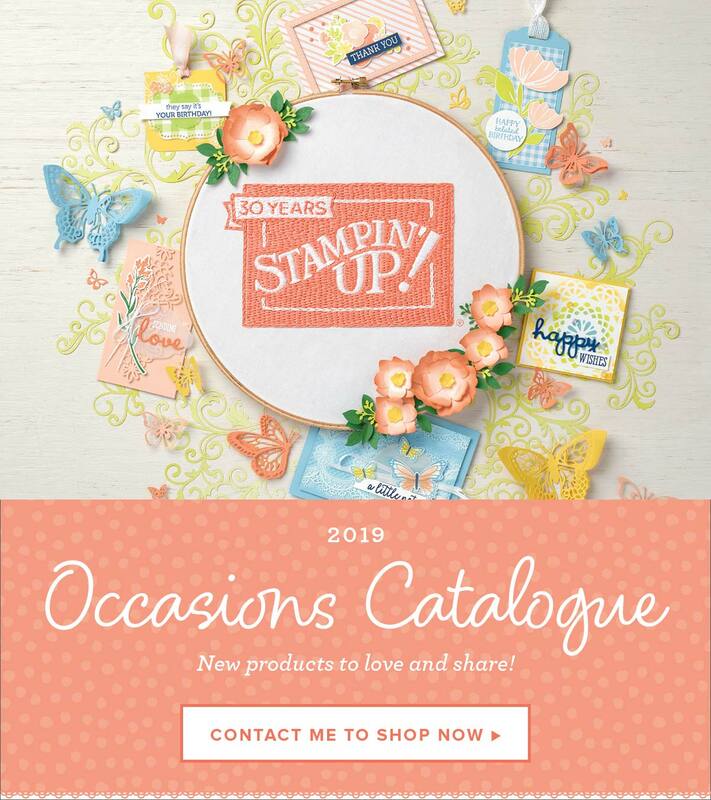 March has arrived and it’s the last month of Sale-a-Bration 😦 I hope you’ve been taking full advantage of all the wonderful offers Stampin’ Up! has at this time – I know I have 😉 If there’s anything you love in the current brochures, remember, this is your last chance to get them before they’re gone for good. A new month means a new FREE kit and product giveaway. You’ll receive the kit when you shop with me and use the current month’s Host Code (no minimum purchase required) and FREE product whenever you spend $90+ and use the current Host Code. I’m changing it up a little and have a 3D kit this month, which is made using the Basket Bunch Bundle and one of our Clear Tiny Treat Boxes. I liked the idea of the eggs being hidden in the grass so used four pieces of the grass die cut to cover the base of the box all round. I found the easiest way to attach it was to run a strip of Tear and Tape around the bottom and adhere one piece at a time trimming off the overhang as I went. I quite like how the top is loose but you could easily add a few glue dots for extra security. I kept the main decoration on the front and you’ll find the Glue Dots are your best friend for this project. I used them for the flowers, bunny and one of the eggs as well as the sentiment on top of the box. The second egg was attached with a dimensional for a little extra texture, but you could adhere it flat if you’d prefer. You will need to supply your own adhesive, stamps, ink and eggs 😉 to complete this kit. I hope you like this month’s kit and I’d love to send you one, they’re really cute in person. I’ve used the *new* Sale-a-Bration Glimmer Paper Pack for these kits as well as Blushing Bride, I think they’re a great colours for Easter and if you like them too make sure you get some before they disappear.